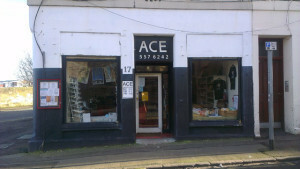 If any of you have checked the ACE website recently you will have noticed that it has changed over the past week, it now being based on the WordPress platform, the main reason for this being that over the past few years WordPress has developed into one of the best and simplest to use website content management systems available. The site is far easier for people with little experience to add & edit posts and events. With WordPress, people with very little experience can add, edit and, (using the events plugin), put forthcoming events up on the website. Using WordPress the site is now integrated with the Autonomous Centre Facebook page which means that all posts and events posted on the site not get automatically posted on the Facebook page, with comments made on Facebook page link automatically getting carried over to the website and comments made on the website post getting automatically carried over to the Facebook page, something that will greatly improve website traffic and help build Facebook likes. The website can now be easy translated into 56 different languages. The website txt can now be simply resized making the site far are accessible to people with impaired vision. The website SEO is greatly improved using WordPress as the base platform. Amongst several other advantages too. It is intended over the next few weeks to arrange a short workshop for members of groups that use ACE that will give them the skills and knowledge they will require to make regular posts on the site regarding their groups activities and future events that they are holding and if anybody would like to come to this workshop please use the Contact Us page and we will let you know the date when it has been arranged. Also, if anybody has any suggestions as to improvements or additions to the website, please Contact Us too. This entry was posted in Blog and tagged by Holmey. Bookmark the permalink.